Epilepsy and learning have a strange and interesting connection. The research seems quite clear - epilepsy does not cause learning disabilities. Nor does an inability to learn lead to development of epilepsy and yet, epilepsy is more common among those who have learning disabilities than among the general population. Let's take a closer look at how epilepsy affects learning. People with learning disabilities are more likely to have epilepsy than the general population. In addition, more severe learning disabilities tend to increase the incidence of epilepsy. In other words, as learning difficulties increase in severity, so does the likelihood of epilepsy. About 30 percent of the learning disabled also have epilepsy. Among those with severe learning disabilities, the rate of epilepsy increases to 50 percent. Special educational needs do not always develop from damage to the brain. Difficulty learning may stem from behavioural issues, problems with social interaction, communication skills, or even medical conditions. However, in some cases, ability to learn may be negatively affected by brain damage. Over time, the site of the damage may become a focus for epileptic seizures. 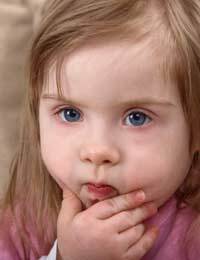 So even though epilepsy appeared to develop after the emergence of learning disabilities, epilepsy was not caused by learning disabilities. In cases where epilepsy precedes learning difficulties, it may be possible that repeated seizures have caused enough damage to impair learning. In fact, the impaired ability to learn was caused by seizures, not by epilepsy. This might seem like a moot point since the seizures probably would not have happened without the epilepsy. However, one could have epilepsy and never have special educational needs. The link between epilepsy and learning is dependent on the frequency, intensity and duration of seizure episodes. There are some cases in which both learning disabilities and epilepsy are part of a syndrome. The syndrome - a collection of signs and symptoms - is the true culprit in this case. Again, this indicates not a causal link between the two, but a common cause of each. Both epilepsy and learning disabilities are linked to some sort of brain damage or dysfunction. It's also important to remember that seizures can go unrecognised. The type of behaviour seen in a seizure depends on the particular area of the brain affected. Seizures may appear as periods of confusion or repetitive behaviour. Some question if there is a link between epilepsy and cognitive behaviour. Again, the research suggests that these conditions co-exist rather than serving as a cause of the other. The mental processes involved with learning and memory are often affected. But again, the primary cause of impaired cognitive functions is more likely the original damage that caused the epilepsy, or the damage to the brain brought on by repeated, severe seizures. One conclusion is clear. Epilepsy can make learning difficult. But there seems to be no causal link between epilepsy and learning disabilities. When those with epilepsy find it difficult to learn, the blame for difficulty should rest either on the same incident that let to epilepsy, or on damage to the brain resulting from epileptic seizures. For the most part, specialized assistance for learning disabilities is unaffected by the presence of epilepsy.